Accutek, Model 28-048-ACA, stainless steel, variable speed, 48" diameter disc accumulation table. 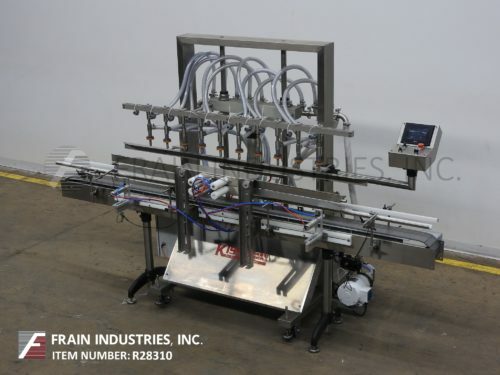 Equipped with a 48" disc, adjustable product guide rails, 32" to 36" infeed / discharge height range and 1/10 Hp motor drive with variable speed control. Mounted on stainless steel base frame with (4) height adjustable legs. Accutek, Model 28-048-ACA, stainless steel, variable speed, 48" diameter disc unscrambling table. 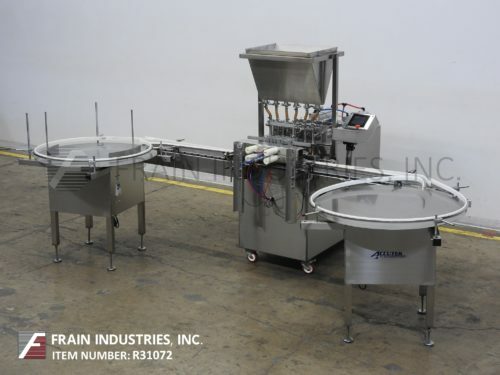 Equipped with a 48" disc, adjustable product guide rails and overhead bar with (2) orientators. 32" to 36" infeed / discharge height range and 1/10 Hp motor drive with variable speed control. Mounted on stainless steel base frame with (4) height adjustable legs. Accutek, 48"diameter, stainless steel, rotary disc accumulator with number of containers per minute – depending on materials, application and machine configuration. Equipped with stainless steel 48" disc with variable speed, adjustable side rails and a table height of 32" to 35". Accutek, Model APOF10, automatic, inline, 10-head, stainless steel, pressure gravity, overflow filler. with number of containers per minute – depending on materials and application. 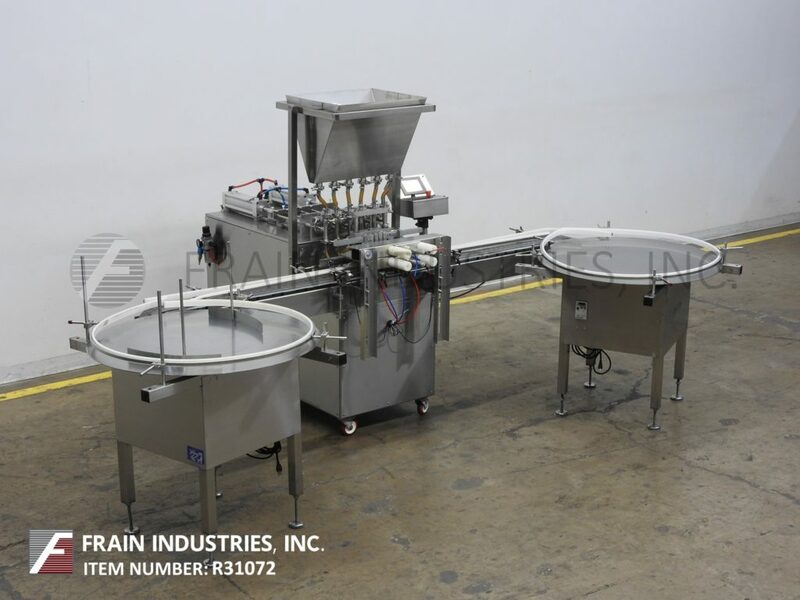 Equipped with 120" long x 6" wide Delran container conveyor, pneumatic container indexing, (10) 5/8" OD stainless steel diving nozzles, 72" long drip tray, product overflow tank and 1½ HP centrifuge pump. Touch screen operator interface controller. Mounted on stainless steel frame with casters and height adjustable locking legs. Rated / Speed dependant on materials, application and machine configuration.